For Christmas, I wanted to get Joe new pajama pants. Found a pair of adorable Mario Bros-themed pants but it didn't seem like it was enough. So what could make this gift complete? 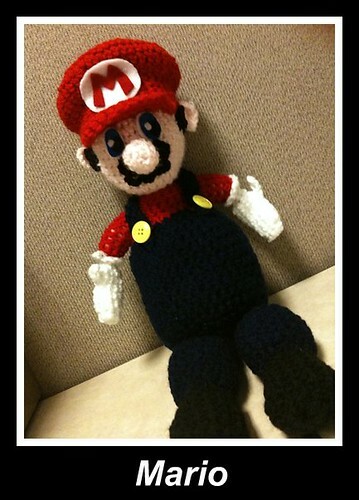 A Mario doll! See WolfDreamer Off the Hook for the pattern. 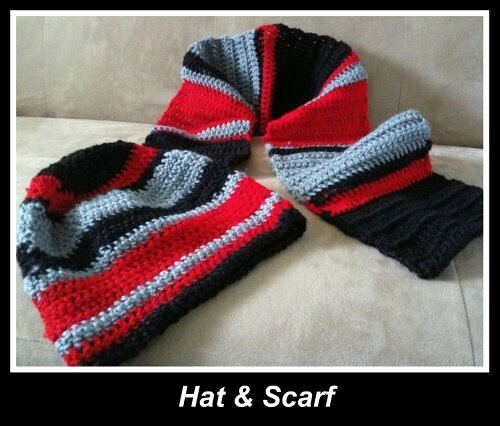 I also made him an impromptu gift of a new scarf and hat right before we head east for the holiday.